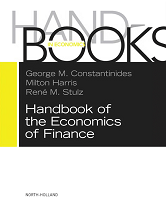 This title authoritatively describes recent scholarship in corporate finance and asset pricing. Volume 1 concentrates on corporate finance, encompassing topics such as financial innovation and securitization, dynamic security design, and family firms. Volume 2 focuses on asset pricing with articles on market liquidity, credit derivatives, and asset pricing theory, among others. Both volumes present scholarship about the 2008 financial crisis in contexts that highlight both continuity and divergence in research. For those who seek insightful perspectives and important details, they demonstrate how corporate finance studies have interpreted recent events and incorporated their lessons.